Voters can view their voting, not as real support for the prevailing system, but strictly as an exercise in damage control. Of course, this assumes they can know which party or candidate will cause the least damage. Creative lying by politicians and their allies (such as the media) makes this assumption shaky, but maybe not totally so. It should be obvious that the secular system in Israel wouldn't vanish just because a religious bloc failed to vote. Democracy certainly raises an interesting question in hishtadlus. In the past the process of getting a king was out of sight and clearly understood to be in the hands of Hashem. Now we seem to have (the possibility of) involvement in the process. The theological question is do we, the practical question is should we? My response is this: millions of Jews live in Israel _at this time_. Destabilizing the secular government puts those millions of lives literally at life and death risk. And influence in the current system is gained by voting (and lobbying and donating). The amazing dichotomy here is that the same blocks of people know this lesson from the US, and their influence in New York - being able to create and maintain the enclaves they desire, is based on their bloc voting. But in Israel they'd rather have street battles with the secular government than bloc vote in a mayor who supports their positions. L'havdil, it was God's will that put Nebuchadnezzar in power. The Jews still disagreed with his policies though. Jews have bechirah and the fact that the Israeli govt is secular does not mean that its G-D 's will -after all people do things against G-d's will all the time. We need hishtadluth to change things and bring the Israeli govt in line with Torah values , not to adopt a policy that its G-d's will.In essence those who say its G-D's will (and I never saw this articualted until now) are accepting the Satmarer view. The Satmarer Rav believed that the ETZEM" creation of any Jewish state in Eretz Israel was a rebellion against G-D. So nothing you can do will mean anything. Accepting the G-d's will philosophy basically white washes all the evil doers of the world , after all if it was G-d's will that 6 million Jews were killed , then how are the Germans guilty they are just agents of G-d. In terms of philosophy we could have a serious discussion of yedia and bechira , but I think that belongs in another forum. After the State was established, the gedolim who guided Agudath Israel said that we should vote in Israeli elections. The voting is not meant as an endorsement of the idea of a secular state in Zion. Voting is simply a pragmatic and practical strategy for promoting our spiritual goals and engaging in damage control. And let us not forget that the gedolim have stressed that Torah education and outreach is the most important strategy..
Akiva, the Chareidi communities in Israel do often vote in blocs. This is why the previous mayor of Jerusalem was Chareidi, and this is why there is now a Chareidi mayor of Beit Shemesh. Yes, the failure to vote as a bloc did harm us in the recent mayoral election in Jerusalem. And please remember that the vast majority of Chareidim in Jerusalem are not involved in the street demonstrations you mentioned. If you fail to exercise your right to vote, you also forfeit the right to complain about politicians. As for my two cents, I hope you'll allow me to add a relative insider's view. Other blogs didn't want to hear much when I dared show some sympathy with "them"! I live here – mammash right around the corner from the epicenter. Meah Shearim / Shivtei Yisroel environs. A few yards from our front door is parking lot sometimes used as a gathering point – by both demonstrators and undercover agents. The low thunder of Shaaaaaaaabbuuuuuus is a fairly common sound wafting through our window and making my daughters quake. Dirty diapers and burning garbage often decorates the street leading to our home. But so do the police. And the reality remains that many (but certainly not all) of these people are bigger talmidei khakhamim than most of your readers! They certainly have yirei shomaym and are midakdeck on many Mitzvos that the benoni woefully neglects. Yes, Middos is a problem. And I personally find much of their philosophy repulsive. But I fully recognize that much of this is CULTURAL. It's very easy to malign the other when your sitting comfortably out of the tension zone. Most of these ppl have been rooted here long before the Medina. They do much chessed and mesiras Nefesh. To take Ch. E's advice, we simply "can't know" who's right in this. But what we CAN do is work as hard as possible of setting examples for ah' Yisroel – including for them! Once again, thanx for the freshly stimulating dialogue. "my job is to play the hand we're dealt in the most effective way." This really is a profound line. Cf Yosef with E. Potiphar. She tried to convince him that ratzon H' was an outright aveiro and his nisayon was not to stay there and say prove, nor nonchallantly go back to his work but say, as I've heard it explained by tsaddikim, while your svara may be true, why do I feel so much TAYVA for it!! And then do the most "effective" thing do combat that tayva by FLEEING. There are those who believe demonstrating the Medina is their most effective way of combatting the tayva for "a State of our own". I have plenty of reasons for disagreeing that are effective for ME. But perhaps its because I don't plan to remain in this neighborhood all my life; perhaps it's because I don't have a family history of parents and rebbes and kivrei tsaddikim I revere being abused by the Medina and my children's chinnuch being constantly under attack by it. As long as their community is being led by talmidei Khakhamim, Yirei shomaym and mosrei nefesh for taharas Yisroel, I must respect them to find their "most effective way" of dealing with this mutual nisayon while I struggle to pass the Nisayon of not being khosheid b'kasherim. II must admit that I am a tad sad that this post implies that Chassidus or Chassidm had anything to do with kaanauth or anti Israel politics after the creation of Israel. All the Rizhiner rebbes (Husyatner, Bhusher, Sadigerer -both, Tchortkower, Vasluier, Boyaner etc ) were strong supporters of Israel and not voting - man dekara shnmeih. The Gerer rebbe's son in law rav Itche Mayer Lewin was Minister of Social Welfare until 1952.Other chassidim were members of the Knesser, like Binyomin Mintz, Shlomo Yaakov Gross,. The first mayor of Jerusalem was a Radziner chasid and member of Mizrachi Shlomo Zalman Shragai. Except for for 2 all the Twersky rebbes in America were strong supporters of Israel, most were members of the Mizrachi party. Not 1 impt Chassidic leader expressed any sympathy for the Satmaer rebbe or his shita after 1948. That includes the Gerer Rebbe , the Belzer Ruv, the Vishnitzer Rebbe, the Kopishnitzer rebbe, Admor Ramash of Lubavitch, Rabbi JL Ashlag the Kluizenberger rav, the Boyaner rebbe in the US, the Ozorover rebbe etc etc.The Satmarer rebbe was a daas yachid (he had the support of some Hungarain rabbonim whose mesorah was not Chassidic and only adopted chassidic externals after World war 1 to some degree. )But what the satmarer rebbe was and still are are good propogandists trying to make people believe that his shita was supported by all gedolim by bringing prooftexts from before World War 2, and by claiming that he was the zaddik hador (what about the Belzer rav ? the Gerer rebbe ? the Chazon Ish ?) So to solve that problem he decided that Chassidus was dead so, the other rebbes don't count only he ! Yet now we have discusions as if the Satmarer rbbe and his postion is a legitimate form of expression for Chassidim , perhaps for followers of the Chasam Sofer, but for followers of the BESHT ? The Bays Israel voted, the Vishnitzer rebbe voted, the Erlauer rav votes, the Belzer rav votes. I will finsih by saying that when the Satmaer rebbe met the Belzer rav he Rav Joelish said all of this must be chorev (meaning Israel) which in itself is unbelievable and the Belzer rav said chas veshalom !!! 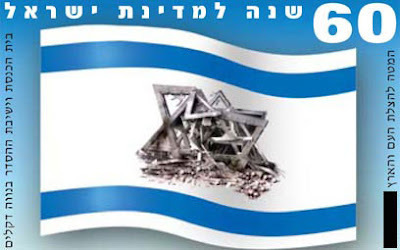 Today after 1948 its not a question of Zionism its a question of survival of 6 million Jews. Those who do not vote for the Religious party are essentially voting for the secular forces. And they are happy in doing so because they pray daily for the end of Israel and have some pie in the sky idea that it will occur with no bloodshed.Hopefully we will never know. Make no mistake about it the NK and their off shots are all products of the shita of Satmar.Its that simple. Schneur ,if he said(source) isreal hurav ,he ment the medina,not the people h"v, 2, the question of bechira is asked in MISNA AVODAH ZORA. Those of us who do not follow the position of the Satmar Rebbe with regard to the State of Israel, because we follow the view of other gedolim, should be very careful not to speak in a disrespecful manner or tone about the Satmar Rebbe, a leading gadol and tzadik of his era. For example, it is known that Rav Aharon Kotler, another leading gadol, disagreed with the Satmar Rebbe on a number of issues; yet, it is also known that he and the Satmar Rebbe had much respect and love for each other. When Rav Aharon was niftar, the Satmar Rebbe came and spoke at the levaya. I know this, for I was there, since the principal of the Torah study department of my Jewish high school took us to the levaya. I know rabbis in both the Religious Zionist and Chareidi communities who did not accept his particular approach with regard to the State of Israel, but who regard him as a leading gadol and tzadik of his era; moreover, his very great devotion to tzedakah served as a inspiring model for others in the Jewish community. >>>what is the practical difference in daily life and why? Nafka minah: are you going to do everything in your power to build a flourishing state or are you going to remain passive and content in Williamsburg or elsewhere until Moshiach comes? According to Satmar "shelo ya'alu bachomah" is an issur. If you see someone being mechallel Shabbos, keeping to yourself and ignoring the situation without trying to change things (assumuing you are able) is an issur. Just substitute yishuv ha'aretz in that sentence and the same conclusions hold true if you are an anti-zionist. If you are a Zionist, then you should be doing everything in your power to help rebuild the land, even if it takes time away from learning (see Chasam Sofer Sukkah 25). To just brush aside this issue as inconsequential does justice to neither side of the debate. How do we determine what is ratzon Hashem vs. nisayon? Isn't that a strange question from a blogger who consults Rebbes for direction in other areas of life? But you can also vote on a religious government. Besides, voting determines a lot of mundane non-political matters such as municipal budget allocatons.